Florian Schneider (L) and Ralf Hütter (R) in less mechanical days. Terrible news. Florian Schneider has officially left Kraftwerk. 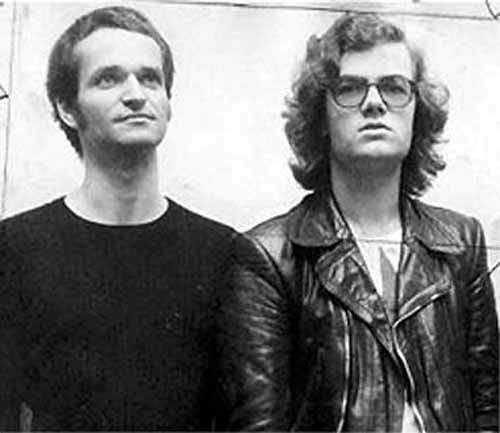 This leaves Ralf Hütter as the only remaining founding member, of, well, the two of them, Ralf and Florian. Can a band really go on when the two founding members have played together for 40 years and one of them leaves? I am doubtful. Then again, when was the last time Kraftwerk actually released a record of new material? 2003’s Tour De France Soundtracks? Whichever way you look at it, this is a dark day for fans of robot music.